Irish heatwaves are a rare thing, but 8 weeks into extremely sticky heat and we are experiencing problems. For me and the four dogs, training now takes place at unlikely hours or at unlikely venues. We try to vary it as much as possible. Most days they are each given a task to do and so trained individually but then if the two-legged handler sleeps late, training takes place in the river. 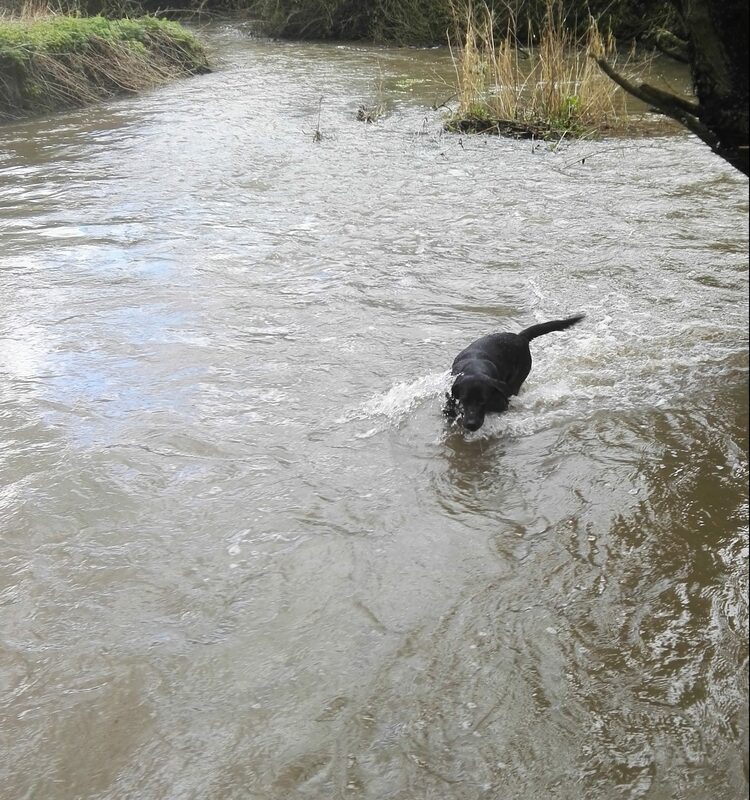 The dogs love this but I don’t as I generally end up the wettest of the lot. 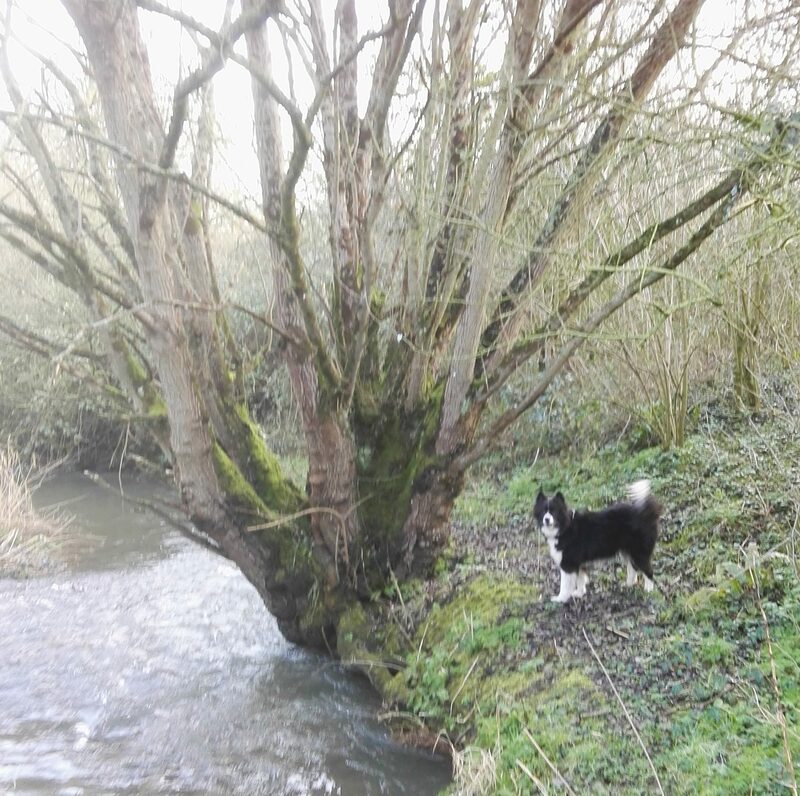 Ellie is on the left on the last photo in the slides she prefers to stand on the bank and manage the recovery – this collie only gets wet as the last resort. It takes all sorts to make a family. These few words prompted an idea for a photo with Bob. Just when I had them all set – he starts this, head shaking – him who normally never moves! Even Ellie looks annoyed with him. Summer is strange, but often life is stranger. 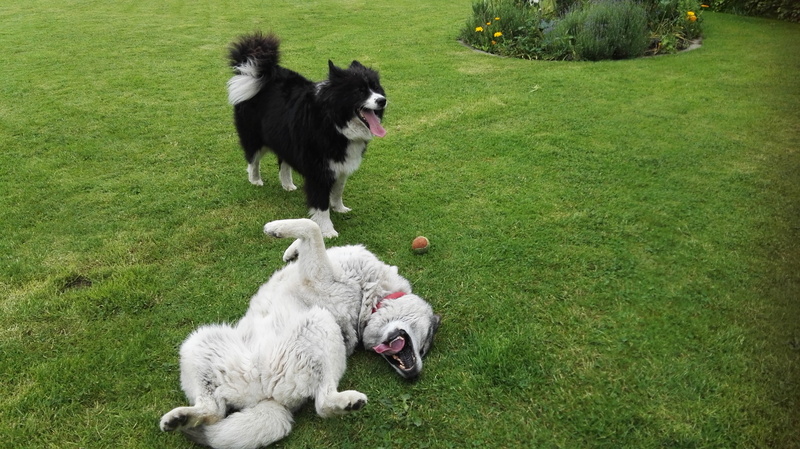 We tend to walk a lot, (well Ellie and myself – Bob avoids it at all costs.) And during the past few months we came across these items during our travels. 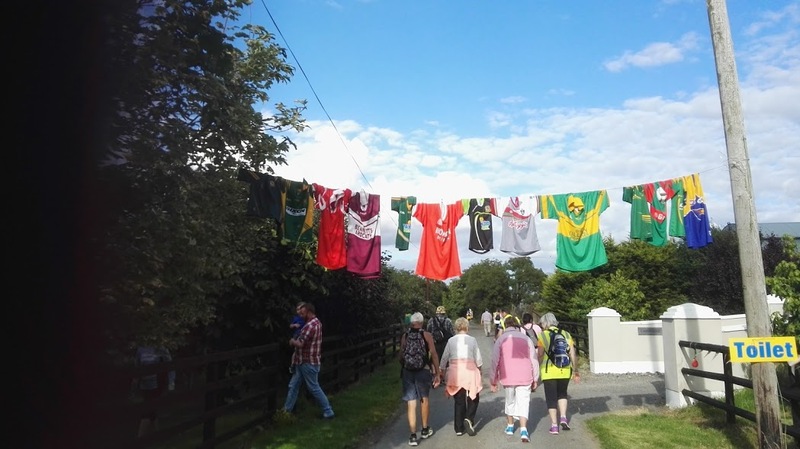 A parish walk confirmed we are indeed in Ireland. 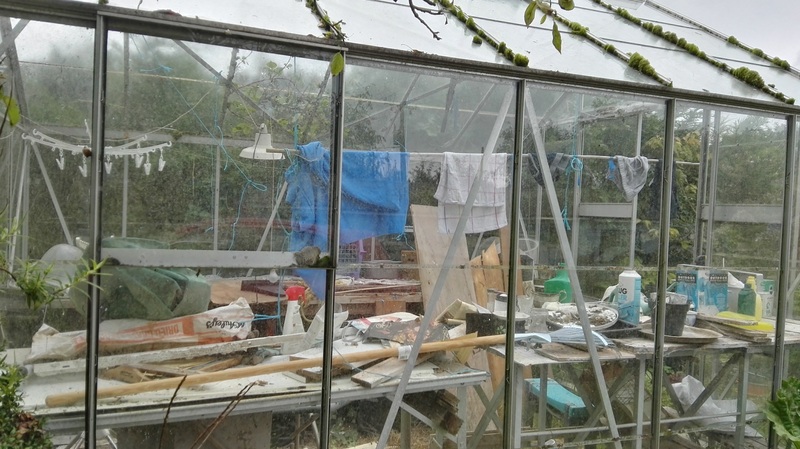 Greenhouses are not only for plants! 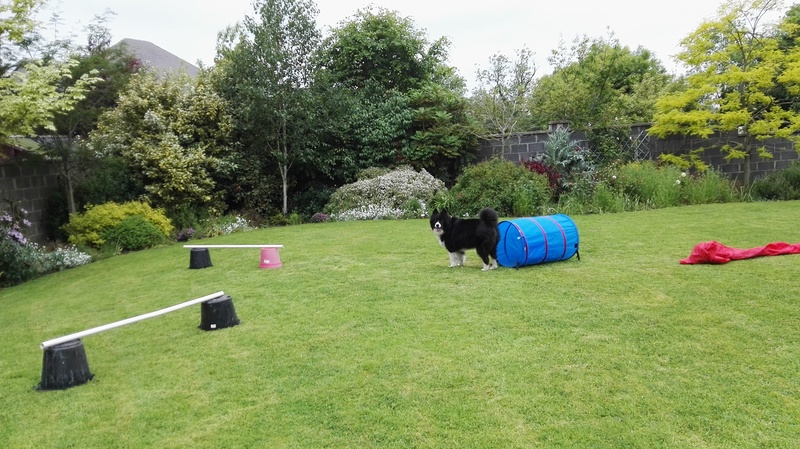 We took the (home made) agility gear out and Ellie did her usual, raced over jumps, through the tunnel and kept on going for a few laps until she had taken the tunnel apart. 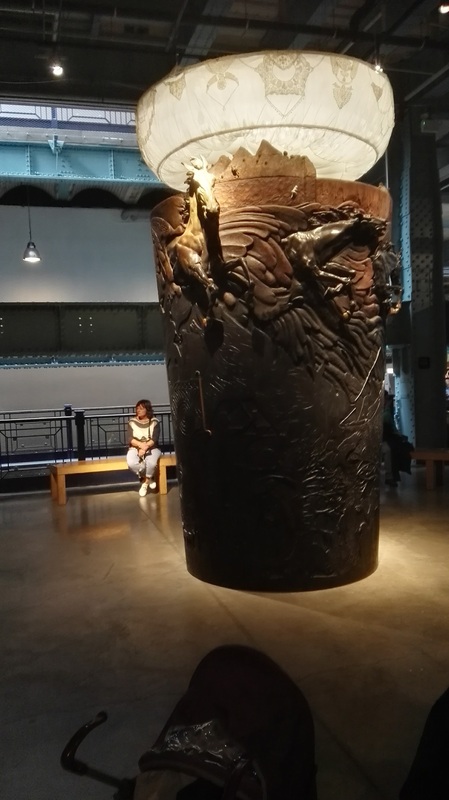 the best way to use buckets. We spent quite a bit of time trying to persuade the Bob to have a go. There was no treats in my pocket so the best he could manage was – a roll over! Books I have recently read. I joined Goodreads. Why? To find interesting indie writers to read and to find people to review my books. I have found a group of highly talented people who simply write for the enjoyment of producing a finished item, a little like Nanowrimo. I feared it would be more like the first auditions in Britains Got Talent or The X Factor, it is far better. So I would encourage anyone who is looking for interesting new writers to try it. I chose this book of Tim Bakers because of the cover and title. I enjoy thrillers and mysteries and this promised much. I was not wrong. His characters were strong and full of personality. The main character Martin, was born on the wrong side of luck. Lorenzo and his boss, Don Gammino featured in Martin’s run of bad luck and set a string of events in motion. . Romance arrived with Mercedez, who I felt had a soft spot for Martin, this she proved later on in the book. Ike was a mysterious character, tough and ready to help anyone who needed it, I wanted him to adopt me after reading a few chapters where he featured. 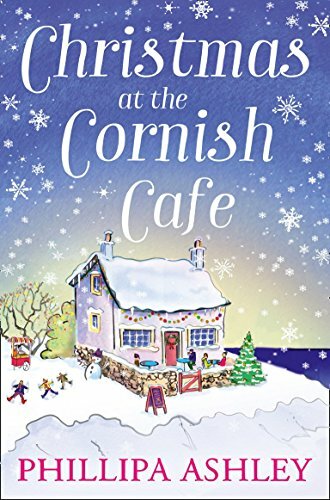 The plot was strong and flowed sweetly with the odd hiccup or surprise, just enough to keep me reading. 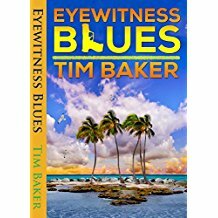 I recommend this book of Tim Bakers to anyone who likes a thriller with a twist and I will be reading more of his work in the future. I enjoyed this book which is the second novel, featuring Demelza. A young woman who appears to have climbed, with a little help from Cal out of a bad place into a life she loves. Cal’s rival for Demi’s love is Kit. I found Kit a little disturbing and wondered from the start what sort of game he was playing. Of course I loved Mitch, Demi’s dog, as I love 99.9% of dogs, real or imaginary. I did wonder at how much patience Demi had with Cal and his mysterious past. 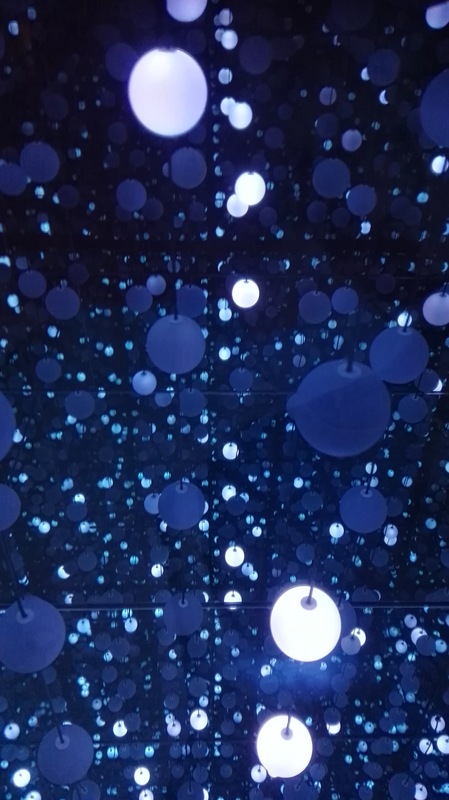 There was a few occasions where the story line repetition had me sighing but beyond that it flowed enough to keep me hooked on which guy she would end up with. All in all if you are looking for a gentle story this is one I would recommend. 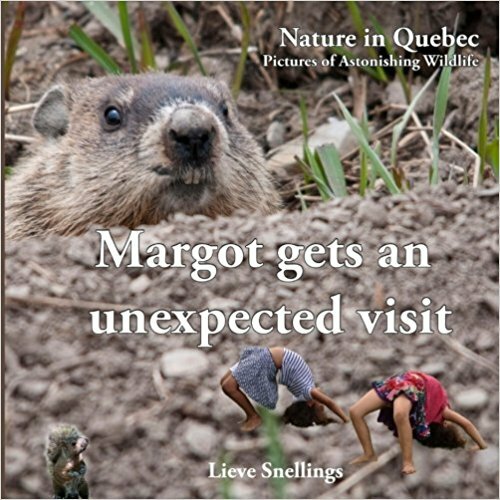 Margot gets an unexpected visit by Lieve Snellings. This is a very different book to the usual children’s fantasy book as Lieve is a wildlife photographer, who has created a very different book. The photographs and images were cleverly input into the story. I could imagine reading it to a five or six year old and they becoming immersed in the story. I enjoyed it, though I am not five or six and would recommend it to parents whose children love animals. Marie and her sister Lowieske are from Belgium and, like me, did not know what a woodchuck was prior to their meeting with Margot. The images of the groundhog wearing glasses etc were amusing and again this would appeal to children. This past week, I was lucky, every day I went training the sun decided to warm us. 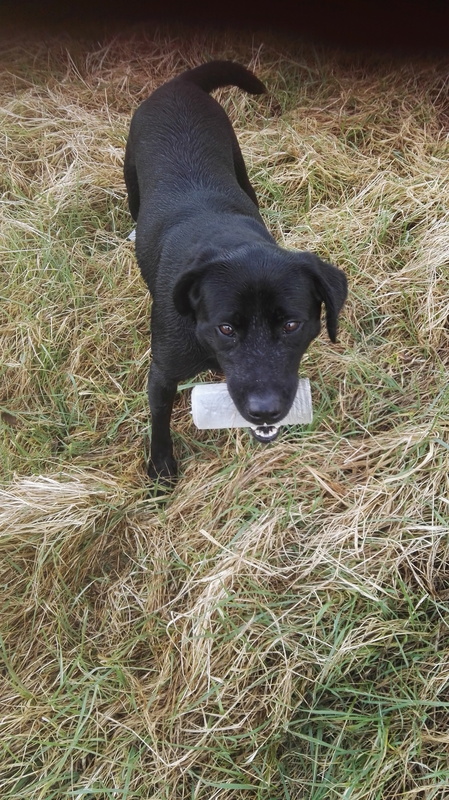 While Judy collected it, then went for a swim, just in case I hid anything in the river bed. When a Border Collie gets bored.. I thought we would have a day off, though we did go for a walk. Obviously not far enough for Ellie. So she created her own bit of fun and wrecked havoc on Bob’s blanket. Bob looks happy and surprisingly awake! Ellie had a surprise new experience. A visit to the doggy hairdresser. The results speak for themselves she was glowing and feeling good but Bob wasn’t so sure. He seemed to be suspicious of this perfumed version of his mad cap companion as you can see from these photos he is staying away. The question caught him out, as he kindly asked what kind of dog. Fast forward to the weekend and we went to see this Norwegian Elkhound. Bob was bought for a lady in her eighties. But he was too big, too strong and heedless. We arrived at the house in the country and were greeted by Bob, front paws on the top of the gate and hind ones planted firmly on the ground. He took one look at us and smiled. I think he was saying, gotcha! He was correct. He had us from that goofy smile and ceaseless tail wagging. He came home with us quietly. We stopped to buy leash, bowls, dog food etc. And then the trouble started. He decided he would be boss and eat everything in sight. Wellington boots, shoes or slippers weren’t good enough they were simply a starter. What he liked was the tough teeth crunching wooden posts, his kennel and finally his coupe de resistance, the electric gate leads. As everyone knows he obviously survived the electricity but didn’t go back for seconds. The reason being the wires were encased in plastic casing then a metal casing. In fact everything we thought he might eat was encased, or locked away or hidden. Luckily he mellowed as he settled down though he never lost that heedlessness making teaching him a very big challenge. In the end though I think he has been the teacher. Take this idea I had for photos of him and Ellie. I had everything set up then he decided he wasn’t in the mood for modelling. On this occasion I didn’t give in. It isn’t easy getting the bow in place, getting him to allow it to sit there was the big problem. There is that look on his face again, wouldn’t you love to know what he was thinking?